I just posted Inside PR 473. This is me playing catch up. As some listeners noticed, I fell behind in posting and episodes were dropping two weeks after we recorded them. But now we’re up to date and I’m hoping to publish each future episode within two days of recording. As for episode 473, after several weeks of being in the wrong place at the wrong time, Gini Dietrich, Martin Waxman and I all together for this episode. We talk about Twitter’s deal with Bloomberg to produce video, Feedly’s coming mute filters, Sysomos’ new integrated platform, and the end of Yik Yak. 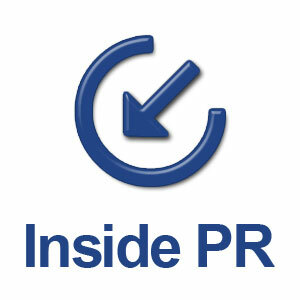 You can listen to episode 473 on the Inside PR podcast blog. Finally, a means of measuring the ROI of social media? The big news this past week was the announcement that Salesforce.com would pay $323 million to acquire social media analytics company Radian6. The size of the valuation makes this an acquisition to watch. But what’s even more interesting is the potential it holds to trigger a great leap forward in the evolution of social media monitoring and analysis services. As a longtime user of social media monitoring services (Thornley Fallis currently uses Radian6, Sysomos and PostRank), I watched as the companies appeared to take divergent paths. Sysomos has pushed its analytic tools (including a great keyword mapping tool), appealing to the data miners in our company. At the same time, it used its blog to highlight the insights that could be surfaced through its database. PostRank has followed a similar path, but with the addition of some nifty APIs that enable other organizations to link directly to its database and build its algorithms into their applications. Both Sysomos and PostRank have placed emphasis is on the data, the database and the analysis. And in doing this, they have gained a loyal user base among social media professionals and analysts. Radian6 seemed to follow a different path. The first indication of this was the introduction of its Engagement Console about 18 months ago. At that time, Radian6 seemed to shift its focus away from the core analytics tools toward providing tools to enable large organizations to manage their social media interactions. In this way, I think Radian6 targeted the enterprise. And that brings them into Salesforce’s sweet spot. Corporations like Dell have pointed to the challenge of scaling social media that stops many enterprises from using it effectively. Radian6 – and most other social media monitoring solutions have focused on providing community managers with tools to identify and manage the most important conversations in social media. Now, the Salesforce – Radian6 deal offers the promise of something truly different – an effective means of measuring the ROI of social media. Through the merger of Radian6 and Salesforce, I think they have the essential building blocks of an end to end service that will enable us to track our social media outreach and connect it to the sales funnel. If it is integrated this way, marketing and sales departments finally will be able to identify which social media activities lead to revenue – and to measure the return on their investment in social media activities. If Salesforce and Radian6 can pull this off, it may well yield a handsome return on the $1/3 billion investment Salesforce just paid for Radian6. I’m cheering for them to make this work. If they do, a new standard in social media monitoring and measurement will be established and we’ll all benefit from it. Gini Dietrich and Martin Waxman have views about this too? Gini Dietrich, Martin Waxman and I talk about the Salesforce-Radian6 dealon Inside PR episode 248. In this week’s episode of Inside PR, Gini Dietrich and I talk about summertime and the PR business. Is it cyclical. Does it have to slow down. What can we do to make best use of the slower summer days? Maybe close the office early every Friday? Is summer slower at your company? What do you do to keep busy? To keep staff morale up? We’d love to hear from you. Leave a comment below and we’ll use it in next week’s show. We also talk about the acquisition of social media metrics company Sysomos by Marketwire, the latest in a series of social media metrics industry consolidations. I regularly use Radian6 and PostRank and think that social media metrics are a core tool for the new PR. Hopefully, consolidation will not stifle innovation in this area. I also get a chance to make the point that organizations attempting to move opinion online should be transparent and disclose their interests from the outset. The recent controversy over the failure of the groups behind the Balanced Copyright Website to declare themselves underlines that, sooner or later, you’ll be forced to disclose who is behind online campaigns. And, how could we close out the show without a quick pass at Prince’s statement that the Internet is over. Heck, after 30 years in the music industry, Prince still has us talking about him. So, I’m game to listen to what he has to say.